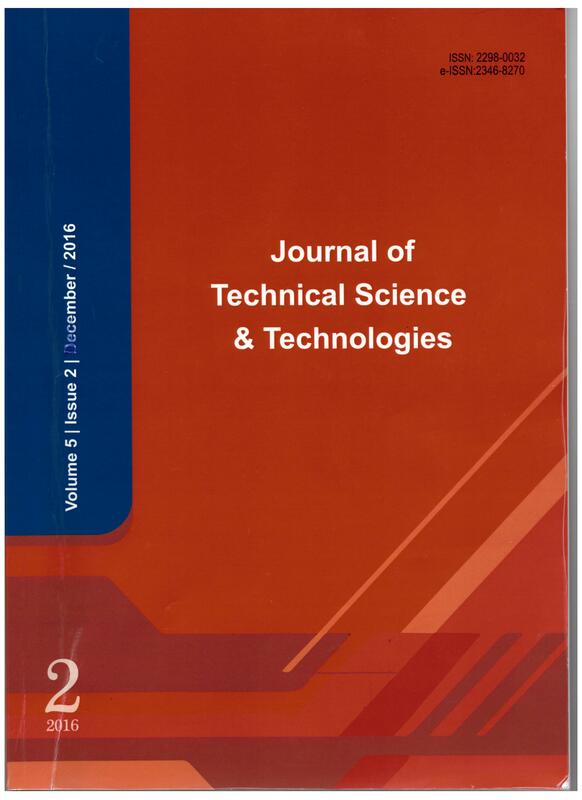 Journal of Technical Science and Technologies (JTST) is an International Peer-Reviewed Academic journal publishing articles in a large variety of technical science, including mathematics, physics, biology, chemistry, information technology, and engineering. The journal is published in both print and online version. The journal publishes the results of original scientific research in all these fields of technical sciences and focuses on new achievements and applications in these areas. Journal of Technical Science and Technologies (JTST) aims to foster international exchange of ideas and experiences among scholars and practitioners with shared interests all over the world. The journal is of interest to researchers at both scientific and research institutes, as well as academic and research staff of universities. Papers accepted for publication are double-blind referred to ensure academic integrity. Journal of Technical Science and Technologies (JTST) welcomes and acknowledges high quality original research papers, case studies from researchers, academicians, and professional, practitioners, and MA and Ph.D. students from all over the world. Date of Publishing: JTST is inviting papers for Vol. 7, No 1. Copyright © 2017 Journal of Technical Science and Technologies. All Rights Reserved.